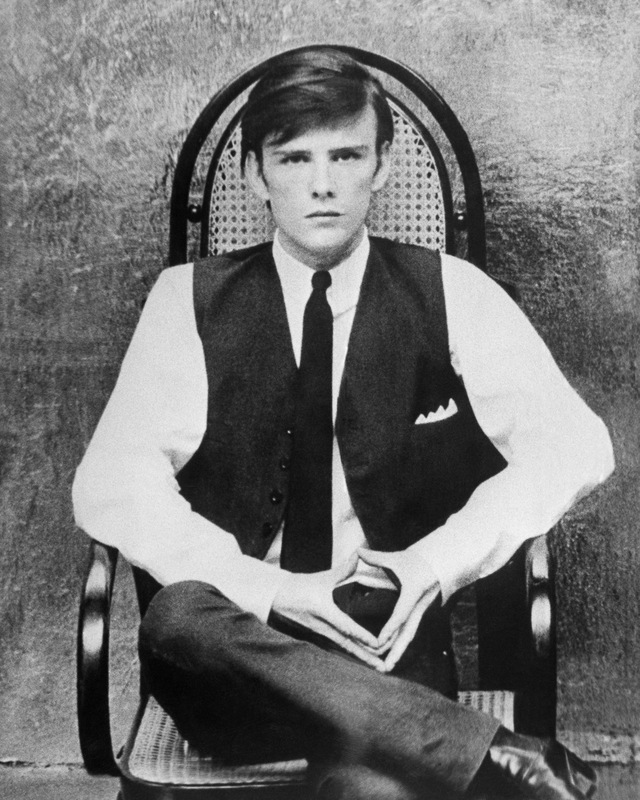 Born in Edinburgh, Scotland in 1940, Stuart Fergusson Victor Sutcliffe grew up in Liverpool, England. He evinced a keen artistic talent from a young age. While earning money as a garbageman, he attended the Liverpool College of Art. He was regarded as one of the best painters in his class, working mainly in an abstract expressionist style. It was at college that he met fellow student John Lennon, who became his flatmate. After one of Sutcliffe’s paintings sold for the then-massive sum of £65, Lennon convinced him to buy a bass guitar — which he could barely play — and join the band Lennon had formed with his friends Paul McCartney and George Harrison. A talented painter, Sutcliffe played bass in an early incarnation of the Beatles.